As used in this User Agreement, the term “TPGC” or “we” or “us” shall mean The Phoenix Gold Corporation and the term “you” or “user” or “customer” shall mean any customer who orders from us and any user of this website. This user agreement applies to all orders, all purchases and all sales, whether made through the website, by phone, or any other method. We reserve the right to change this User Agreement at any time. Any changes will be posted on our website and, except when otherwise noted; all changes will take effect immediately upon their posting. We take pride in our website, and we make every effort to keep our prices and inventory current. However, we make no guarantee that all materials on our website are current, complete, or free of error. We may edit, update, or remove content of the website at any time without notice to users, but make no guarantee to fix errors or make regular updates. Prices and availability are subject to change without notice. As the market is constantly moving, the final price for an item will be determined at the time of checkout. All coins are subject to market changes prior to order confirmation. We reserve the right to cancel any order containing errors, due to our mistake or otherwise. Once you have placed an order through ThePhoenixGoldCorp.com or on the phone with one of our representatives, and you have received a confirmation number and/or a trade agreement, you have entered into a binding agreement with us. If you did not receive a confirmation number and/or a trade agreement, your order did not go through, we have no record of it, and it has not been confirmed. If an order is placed for an item that is out of stock, we will refund the full value of the purchased item via the same method as the payment received. We require a credit card to confirm all purchases and sales regardless of payment type selected during the purchase process. This is to ensure your purchase pricing will be locked in at the current market price. We accept Bank Wire, Major Credit Card, Personal Checks, and PayPal. International orders must be paid by Bank Wire. We do not accept Cashier’s Checks, Counter Checks, or Money Orders. Credit Cards are accepted for orders totaling less than $10,000. Orders may not be split into smaller amounts for the sole purpose of circumventing the credit card limit restriction. Please be advised that some credit card purchases will require further information for processing. This information may include, but is not limited to, a faxed copy of the credit card used at the time of purchase and/or a valid driver’s license, verification of billing address associated with the card using a utility bill or credit card statement. If this information is requested and cannot or will not be provided, the customer will have the ability to send a bank wire within 24 hours. If the wire is not initiated within 24 hours, the order will be cancelled and the customer will be responsible for all applicable cancellation fees and market loss associated with the order. Delays in providing any requested information will result in a delay of the shipment of your order. We reserve the right to report any actual or suspected credit card fraud. We reserve the right to cancel, delay, refuse to ship, or recall any shipment of any order in the case of suspected fraud. Any information submitted may be used to locate and/or identify individuals committing fraud. If fraud is suspected, we reserve the right, but accept no obligation, to submit all information, with or without a court order, to law enforcement and credit card companies for further investigation. If you receive an error message on the website when trying to submit your order, this is possibly due to your credit card being rejected. If this happens, your order has not been confirmed by us, and we have not received payment from you. If you are showing a hold on funds in your account, but you have not received a confirmation number and/or a trade agreement from us, then it is the merchant service provider holding the funds. We do not have any access to your funds, and the merchanct service provider will release them back to you within 48-72 hours. We recommend you contact us by phone to lock in your order. If you choose to pay by bank wire, we require a 10% credit card authorization to confirm the order. Payment must be received by us within 24 hours of the order confirmation. Once the full amount has been received, the credit card authorization will be voided. If payment is not received within the allotted time frame, the transaction will be cancelled and the customer will be responsible for all applicable cancellation fees and market loss associated with the order. Bank wire must include your name, address, city, state, and zip code. If for any reason this information is not included on the wire transfer, your order will not be completed and your money will be refunded minus all applicable cancellation fees and market loss associated with the order. All orders paid via personal check will typically be held for 3-5 business days to allow time for the payment to clear through the banking system. Additional delays may occur. Payment must be dated within 24 hours of the order date and received by us within 5 business days. We reserve the right to cancel any order that does not meet these requirements. TPGC does not accept COD orders. We reserve the right to refuse or cancel any order deemed questionable or of significant risk to us, regardless of payment and price confirmation. Once we have issued a confirmation number and/or a trade agreement, you have entered into a binding legal agreement to purchase the item(s). We do realize that conditions exist where you may no longer want the order, and because of this we offer the option to, at our sole discretion, offset or cancel an order. Offsets and cancellations can only be authorized by contacting us by phone during normal business hours, Monday-Friday, 9:00am to 5:00pm EST. During the call, we will provide you with a cancellation number and the instructions for return. Cancellations and offsets are subject to our “Market Loss Policy” plus a $35 cancellation fee. In the event of a market loss, you authorize us to automatically charge the credit card used to guarantee the purchase. In the event the charge is declined, you will be invoiced and agree to pay the total amount due, in full, within 10 business days. Future orders will be denied until the balance is paid in full. Any and all market gains shall belong to TPGC. For cancelled orders, the cancellation fee, plus all market losses will be charged to the credit card on file. Any remaining balance will be refunded to the customer. Cancellations will only be permitted within twenty-four hours of original order and only with our express authorization. We reserve the right to refuse or cancel an order for any reason or for no reason at all, regardless of payment method or price confirmation. We will contact you directly to notify you of a cancellation. We pride ourselves on customer service and want every one of our customers to be 100% satisfied with every aspect of the transaction. We provide all customers with the right to receive a refund or return and/or exchange on everything we sell, including bullion and certified coins. This right is limited to seven (7) days from the date on which the customer receives the item(s), and only for items still in the original packaging. You must contact us by phone within seven (7) days of receipt. We will provide you with instructions for the return once your return has been authorized. Shipping and handling charges are non-refundable. For returns via mail, you are responsible for packing the item(s) to prevent damage, and are also responsible for the cost of shipping, full insurance and any taxes. You are responsible for any item(s) until signed for by us at time of delivery. We reserve the right, at our sole discretion, to reject any return that does not comply with these requirements. 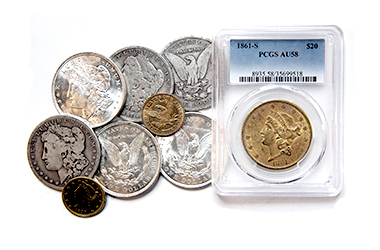 TPGC strives to provide the finest numismatic products at the best possible prices. Our goal is 100% customer satisfaction. It is our hope to establish a lifelong business relationship with each customer we serve. In order to achieve the high degree of satisfaction our customers have come to expect, we combine the experience and wisdom of top numismatists with the technology savvy youth. When working with any member of our team, you can expect open, honest communication at all times. We want people to be thrilled with our service, value our company, and recommend us freely. Because of this, we will work hard for you and your business, and will do our best to accommodate you. We do reserve the right to charge a 5% restocking fee on all credit card orders returned for any reason. If an exchange is requested, we reserve the right to find an acceptable replacement or refund your money if an acceptable replacement is not available. When returning bullion items, the customer may, at our option, be required to pay for any market loss on their returns per our Market Loss Policy. Any market gain on refunds shall remain the property of TPGC. Once an order has been received and confirmed by us, you will receive a confirmation number and/or a trade agreement. At this point, the price has been locked in for you, and the transaction may not be cancelled, but only offset at current market ask price, as decided solely by us. If you request a cancellation of your order, you will be responsible for any deficit between the price at which we sold the item to you and the offsetting purchase price. As indicated above, all cancellations are subject to this market loss policy, in addition to a $35 cancelation fee. Market gains on cancellations or returns belong solely to TPGC. We may, at our discretion, elect to apply any and/or all of your funds in our possession to satisfy your debt and/or obligations to TPGC. Shipment of most items will occur within one to three business days after payment has cleared the banking system. In the event that your order is anticipated to take longer, you will be contacted directly or a revised timeframe will be included in your confirmation email. To ensure no additional delays to your purchase, we ask that you verify your shipping address, billing address, and daytime contact information at the time of purchase. Every package shipped from TPGC is shipped via U.S. Mail, UPS, or FedEx. Each package is fully insured and may require an adult signature upon delivery. Delivery generally takes 1-10 days, but can be longer due to carrier delays. A tracking number will be provided to you via email on the day of shipment to allow you to track the package progress. Should anything happen to your package while it is in transit, it will be covered by our private insurance policy. We will not accept responsibility if you have left instructions with any carriers or delivery service to leave packages unattended or with someone else in the event you are unavailable to sign. Should you believe your package to be lost or damaged in transit, you must notify us immediately. If we determine the package to be lost or damaged, and have been notified in writing by the carrier that the package has been declared lost, we will file a claim. Once the claim has been filed, we reserve the right to ship replacement items or refund your money at our option. We are not responsible for packages that are successfully delivered as addressed and our liability and insurance ceases the moment the package has been signed for or left at the specified delivery address listed at time of purchase. Estimated shipping times are not guaranteed in any way. We will make every effort to meet the estimated delivery times provided to you in your confirmation email; however shipping times may be extended and we are unable to reach you should we need more information to ship the package. Please note – we will only ship to the address listed on your order confirmation. If you selected an alternate shipping address during checkout, your order will be shipped according to your request; otherwise the order will be shipped to the billing address provided. Once your order has been confirmed, we will not change your shipping address in any way. UPS and FedEx make up to three attempts to deliver a package before returning the package to us. UPS will not hold the package after three attempts. USPS will make one delivery attempt. If delivery cannot be completed, your package will be held at your local post office for up to fifteen days from the date of first delivery attempt. Packages that are not claimed within that timeframe will be returned to us. If a package is returned to us, you will be responsible for any shipping charges incurred, the restocking fee, and any market loss incurred per our market loss policy. If you request reshipment of the order, a second shipping charge, equal to the first, must be paid prior to shipment. If you believe the package has been damaged or tampered with DO NOT accept the package and contact us immediately. To ensure accuracy and customer satisfaction, all packages are videotaped during the packaging and shipping process. In the event you believe an item(s) is missing, you must report the discrepancy to us within 24 hours. Failure to report a problem of any kind within 24 hours constitutes your acceptance of the order as received. 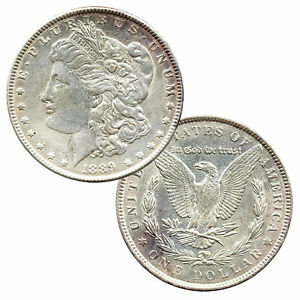 The value of a coin is highly dependent upon the condition or “grade”. 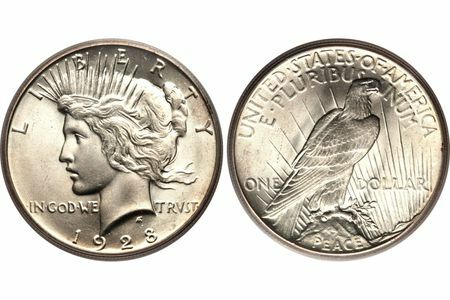 Since grading is subjective, there is a risk in acquiring coins whose grades have not been independently certified by one of the top four grading services. It is possible for such services to misgrade a coin, or to grade a coin differently on resubmission. 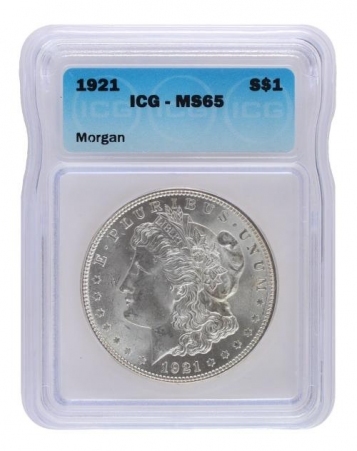 The grading services provide a guarantee to provide you with protection again misgrading and as such, TPGC cannot be responsible for any changes of grade or disagreement among the services, and expressly disclaims any express or implied warranties associated with the grades assigned by PCGS, NGC, ICG and/or ANACS . 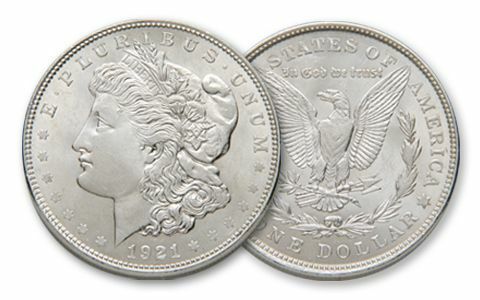 Certification does not eliminate market risk, nor guarantee associated risk with the grading of coins. 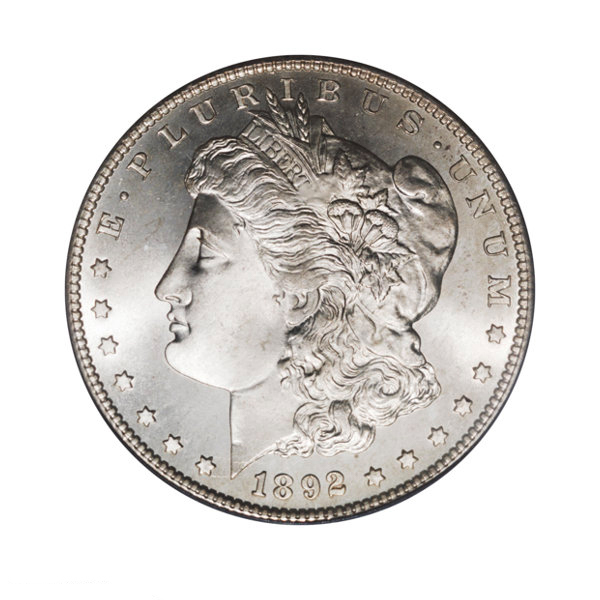 All coins listed on this website without a numerical grade have been deemed to be as such by TPGC’s staff of numismatists with combined experience spanning more than 65 years. Again, grading is subjective, but we do closely follow the ANA Grading Standards, with which you should be acquainted. All coins are unconditionally warranted as genuine by TPGC. Should any coin be of questionable authenticity, you should contact us immediately. Once we have reviewed the coin, we will, at our option, find a suitable replacement for the coin or issue a refund of the full purchase price. TPGC disclaims any liability for orders placed via thephoenixgoldcorp.com online order system, for any losses or direct, indirect, consequential or incidental damages which you may recognize or incur as a result of the use of thephoenixgoldcorp.com. TPGC disclaims any liability for the interruption, cancellation, or other termination of thephoenixgoldcorp.com. Market volatility or problems updating this website may result in inaccurate pricing resulting in a cancelled transaction at our option. By using our website, you acknowledge certain market conditions or other disruptions, such as technological difficulties, may result in you being unable to buy or sell products on a timetable or at a price that is acceptable to you. You agree not to hold TPGC responsible or liable for any orders placed via thephoenixgoldcorp.com, disruptions, or termination of that website, or for any losses, or damages you may incur as a result of using thephoenixgoldcorp.com. All orders placed through thephoenixgoldcorp.com are taken on a best effort basis. TPGC shall not be held liable for errors, negligence or inability to execute orders for any reason, or for any delays in the transmission, delivery or execution of customer’s order due to breakdown or failure of transmission or communication facilities or any other causes outside of reasonable control of TPGC. Internet service providers are not able to offer 100% uptime and failure by one or more of these services may affect this website. The customer understands that this is outside of the control of TPGC. THE INFORMATION, SOFTWARE, PRODUCTS, AND SERVICES INCLUDED IN OR AVAILABLE THROUGH THE TPGC WEB SITE MAY INCLUDE INACCURACIES OR TYPOGRAPHICAL ERRORS. CHANGES ARE PERIODICALLY ADDED TO THE INFORMATION HEREIN. TPGC AND/OR ITS SUPPLIERS MAY MAKE IMPROVEMENTS AND/OR CHANGES TO THE TPGC WEB SITE AT ANY TIME. ADVICE RECEIVED VIA THE TPGC WEB SITE SHOULD NOT BE RELIED UPON FOR PERSONAL, MEDICAL, LEGAL OR FINANCIAL DECISIONS AND YOU SHOULD CONSULT AN APPROPRIATE PROFESSIONAL FOR SPECIFIC ADVICE TAILORED TO YOUR SITUATION. TPGC AND/OR ITS SUPPLIERS MAKE NO REPRESENTATIONS ABOUT THE SUITABILITY, RELIABILITY, AVAILABILITY, TIMELINESS, SECURITY, AND ACCURACY OF THE INFORMATION, SOFTWARE, PRODUCTS, SERVICES AND RELATED GRAPHICS CONTAINED ON THE TPGC WEB SITE FOR ANY PURPOSE. TO THE MAXIMUM EXTENT PERMITTED BY APPLICABLE LAW, ALL SUCH INFORMATION, SOFTWARE, PRODUCTS, SERVICES AND RELATED GRAPHICS ARE PROVIDED “AS IS” AND “AS AVAILABLE” WITHOUT WARRANTY OR CONDITION OF ANY KIND. PHOENIX GOLD CORPORATION AND/OR ITS SUPPLIERS HEREBY DISCLAIM ALL WARRANTIES AND CONDITIONS WITH REGARD TO THIS INFORMATION, SOFTWARE, PRODUCTS, SERVICES AND RELATED GRAPHICS, INCLUDING ALL IMPLIED WARRANTIES OR CONDITIONS OF MERCHANTABILITY, FITNESS FOR A PARTICULAR PURPOSE, TITLE AND NON-INFRINGEMENT. To the maximum extent permitted by law, this agreement is governed by the laws of the State of Florida, U.S.A. and you hereby consent to the exclusive jurisdiction and venue of courts in Hillsborough County, Florida, U.S.A. in all disputes arising out of or relating to the use of the TPGC Web Site. Use of the TPGC Web Site is unauthorized in any jurisdiction that does not give effect to all provisions of these terms and conditions, including without limitation this paragraph. You agree that no joint venture, partnership, employment, or agency relationship exists between you and TPGC as a result of this agreement or use of the TPGC Web Site. TPGC’s performance of this agreement is subject to existing laws and legal process, and nothing contained in this agreement is in derogation of TPGC’s right to comply with governmental, court and law enforcement requests or requirements relating to your use of the TPGC Web Site or information provided to or gathered by TPGC with respect to such use. If any part of this agreement is determined to be invalid or unenforceable pursuant to applicable law including, but not limited to, the warranty disclaimers and liability limitations set forth above, then the invalid or unenforceable provision will be deemed superseded by a valid, enforceable provision that most closely matches the intent of the original provision and the remainder of the agreement shall continue in effect. Unless otherwise specified herein, this agreement constitutes the entire agreement between the user and TPGC with respect to the TPGC Web Site and it supersedes all prior or contemporaneous communications and proposals, whether electronic, oral or written, between the user and TPGC with respect to the TPGC Web Site. A printed version of this agreement and of any notice given in electronic form shall be admissible in judicial or administrative proceedings based upon or relating to this agreement to the same extent and subject to the same conditions as other business documents and records originally generated and maintained in printed form. It is the express wish to the parties that this agreement and all related documents be drawn up in English. If TPGC cannot perform any obligation hereunder as a result of any event that is outside of its control, TPGC’s delay or failure to perform such obligation shall be excused and it shall not be held liable for any damages as a result of, or in connection with, such delay or such failure. All contents of the TPGC Web Site are: Copyright 2013 – The Phoenix Gold Corporation and/or its suppliers. All rights reserved. As a condition of your use of the TPGC Web Site, you warrant to TPGC that you will not use the TPGC Web Site for any purpose that is unlawful or prohibited by these terms, conditions, and notices. You may not use the TPGC Web Site in any manner which could damage, disable, overburden, or impair the TPGC Web Site or interfere with any other party’s use and enjoyment of the TPGC Web Site. You may not obtain or attempt to obtain any materials or information through any means not intentionally made available or provided for through the TPGC Web Sites. You may not attempt to reverse engineer any of the technology used to provide the products and/or services. By using the TPGC Web Site, you warrant that you are at least 18 years old, or under the direct supervision of a parent or legal guardian. If you are a parent or guardian supervising a minor while they use the TPGC Web Site, you are responsible for all activities they engage in on the site. under this User Agreement, please contact The Phoenix Gold Corporation at 813-963-2434.